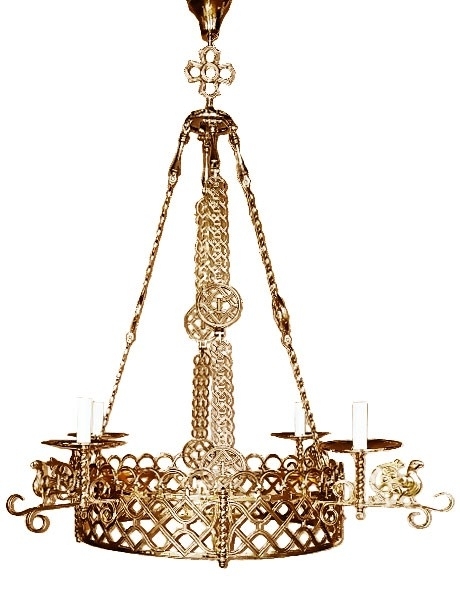 Church chandelier (khoros) Birds-3 (4 lights) - Istok Church Supplies Corp. 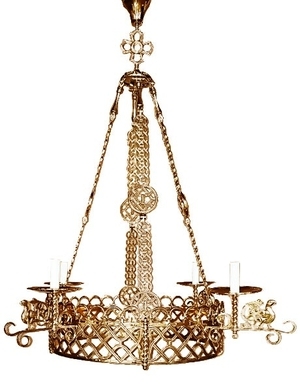 Traditional church chandelier (khoros, 4 lights). Brass, casting, hand-polishing. Diameter: 47.2'' (120 cm), height: 53.1'' (135 cm).